This time last year, there was one word (or should I say acronym) that was never far from the conversation - GDPR! We all had the date firmly embedded in our minds and we all received training on how the 25th May changes would affect us. The DfE issued a Data Protection for Schools Toolkit, highlighting guidance in the form of nine steps schools could take to efficiently develop the culture, processes and documentation required to be compliant with the strengthened legislation to effectively manage the risks associated with data management. This nine-step guide is still available in the form of a 103-page document. So, one year on, is GDPR done and dusted? The definite answer to that is no. The GDPR (General Data Protection Regulation) law came into force during 2018 along with the updated Data Protection Act 2018 (DPA 2018). But what is the difference between GDPR and Data Protection? GDPR is the new European law that is the change of a generation. It defines the data subject as the ultimate owner of their personal data, with specific rights, and any organisation, public or private, which processes personal data must have a legal basis to do so. In addition to this, each country was required to create a local law to ratify the exemptions allowed for their industries and culture. In the UK, this is covered by the Data Protection Act 2018. 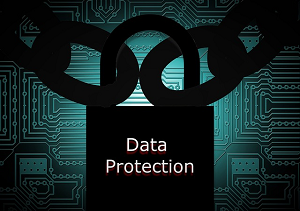 Many schools just use the term "data protection" as this is a common title to both laws. During the early part of 2018, schools took the opportunity to train staff on the changes that were then about to take place. However, 12 months on, many staff members are now due to have that training refreshed. TrainingSchoolz, a sister company of Safeguarding Essentials, is helping schools manage their refresher training by offering free Data Protection/GDPR online training to all Teaching Resources Support Free, Premium and Premium Plus members for a limited time. Schools can register to take the GDPR training and invite up to 300 of their peers to take the course for free as well have access to the simple-to-use yet powerful platform developed specifically for the education sector. Click here to find out more and register or call 0113 360 7838 for further information.